Mood: Admiring huge piles of dirty snow. First off, it was Ellie's birthday, so Happy Birthday Ellie! I celebrated my daughter turning 14 by heading out to the only place where the snow has been cleared enough to ride my bike...The Streets at Southglenn! 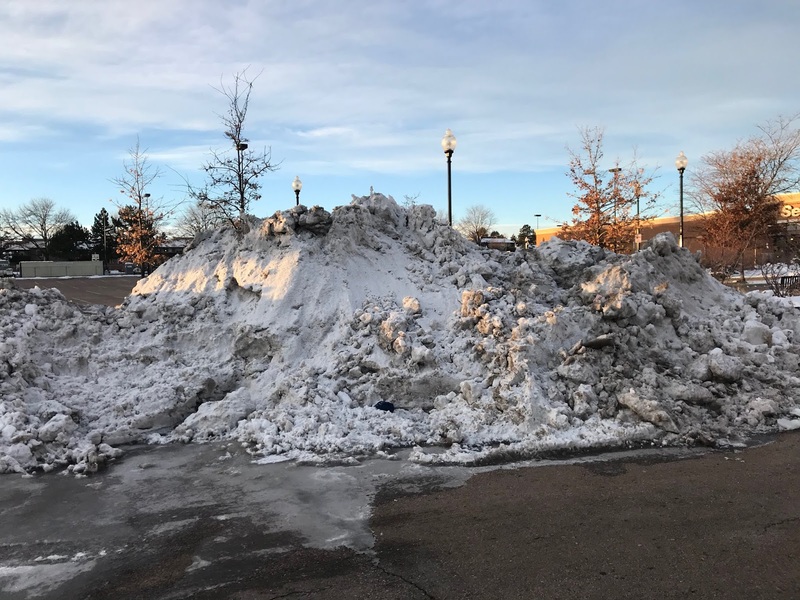 I say that they clear the snow, when really what they do is create a giant dirty pile of snow in the parking lot. This mountain of frozen water and dirt is truly enormous...I'm not sure the photograph shows the full scale of it's hugeness. This was kind of a weak attempt at exercise. 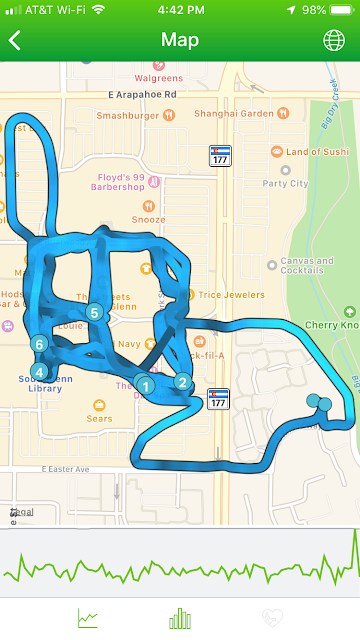 I spun around Southglenn for awhile (technically longer than the 6.93 miles and 56:20 miles listed, but the Endomondo App crashed on me yet again. 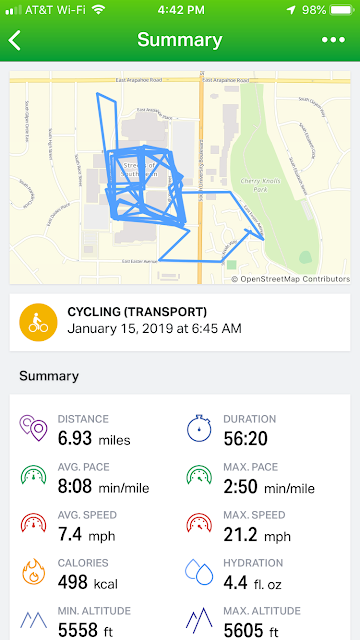 ), but I wasn't pushing myself all that hard and mostly was loading up on Pokemon supplies and enjoying a very cold morning outdoors.